We would like to thank the students who participated in this study. This study is partially supported by a Teaching Development Grant in the University of Hong Kong. How long have you used Moodle? Have you ever used any other learning management systems? What is your IT (information technology) competency level? I used Moodle of this course via mobile phones for submitting assignments. I used Moodle of this course via mobile phones for taking tests/quizzes/exams. 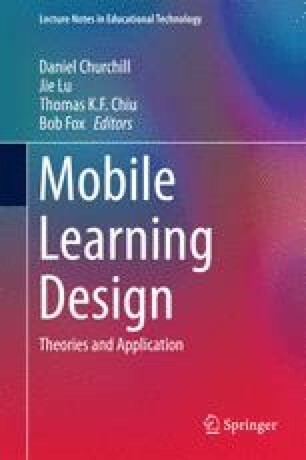 I used Moodle of this course via mobile phones for interacting with instructors/classmates (e.g., replying to posts, sending messages, chatting, etc.). I used Moodle of this course via mobile phones for collaborating with classmates (e.g., editing wikis, contributing to glossary, discussing group projects, etc.). Ang, S., Chia, YB., Chan, I., Leung, K., Li, K., & Ku, K.M. (2012). The survey on mobile library services in hong kong and singapore academic libraries (pp. 1–53). Retrieved from http://hdl.handle.net/10722/152520. Donaldson, R. L. (2011). Student acceptance of mobile learning. The Florida State University College of Communication & Information. Retrieved from http://diginole.lib.fsu.edu/etd/716/. Heemskerk, I., & Dam, G. T. (2009). Gender inclusiveness in educational technology and learning experiences of girls and boys. Journal of Research on Technology in Education, 7(3), 253–276. Retrieved from http://www.tandfonline.com/doi/abs/10.1080/15391523.2009.10782531.